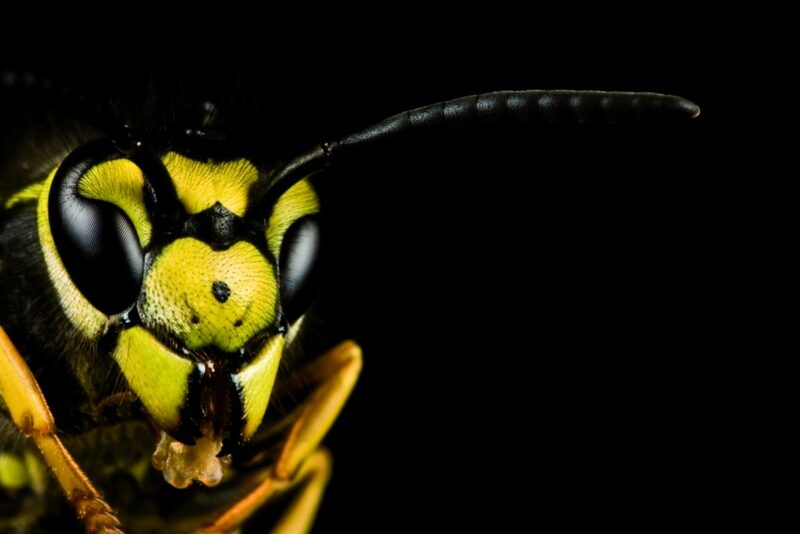 Wasps are one of the most despised insects, their sometimes-aggressive behaviour and a painful sting do little to boost their approval rating! I remember going camping as a child and putting on a tee shirt one morning, a wasp had crawled inside and I suddenly feft the pain of being stung multiple times before I could get the shirt off. The wasps sting is smooth and unlike the barbed sting of a bee allows them to sting repeatedly. 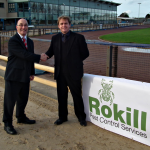 They can also spread bacterial infection through their gruesome activities, but more of that later. Some people are allergic to wasp stings and anaphylactic shock can result, it is estimated that between 2-8 people die each in the United Kingdom each year from wasp and bee stings. The long hot summer of 2018 is already in the top 10 hottest summers on record in the United Kingdom. The impact of the hot weather on wasp activity has been dramatic with pest controllers treating large numbers of nests in a wide variety of locations. 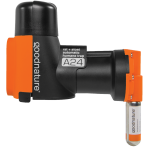 Many customers are reporting multiple nests in a single property. The warm weather has provided wasps with an abundance of food which includes other insects however they will also forage on dead and decaying animal carcasses. There are 8 species of social wasp in United Kingdom. The commonest is the Common Wasp Vespula vulgaris followed by the German Wasp Vespula germanica, both of these can nest underground and in cavities in trees, walls and buildings and sometimes in unusual locations like disused cars. The Median Wasp Dolichovespula media is a new addition, arriving in the U.K in the 1980’s, it is a fairly large species that often nest in shrubs and can be aggressive. The Tree Wasp Dolichovespula sylvestris is locally common and very aggressive and builds its nest in trees and other aerial sites as well as underground. The Norwegian Wasp Dolichovespula norwegica is less common in the southern half of Britain but is the dominant species in Scotland. It builds its nest among twigs and branches. The Cuckoo Wasp Vespula austriaca is a social parasite, it does not have workers of its own and lays its eggs in the nest of another species the Red Wasp Vespula rufa a species that nests underground in old mouseholes and other cavities which they enlarge. The Hornet Vespa crabro is our largest social wasp and prefers nesting in hollow trees. 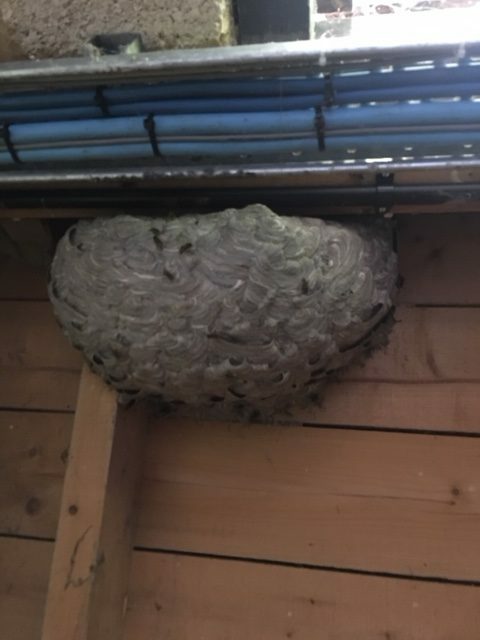 How can I tell if I have a wasp nest? Often people are unsure if they have a wasp nest, sometimes wasps can gather in significant numbers searching for food, or are attracted by sap on plants, lime trees and ivy are often the culprits. To determine if a nest is present you need to study their flight path from a safe distance, wasps that are entering or leaving their nest fly in straight lines and are very purposeful. They typically don’t hang around for long and can often be seen disappearing into voids including soffits, airbricks, holes in the ground or shrubbery. Peak activity will be during the warmest part of the day. The nest is created from a type of paper, adult wasps chew wood and mix with saliva, moulded into an intricate structure that is strangely beautiful. Inside there are tiers of cells containing the larvae like a wedding cake. The nest has an external skin again created from paper. A large wasp nest at it peak can contain up to 10,000 wasps therefore we always recommend that nests are treated by professional pest control companies for safety reasons. People are sometimes badly hurt trying to deal with nests themselves, we have encountered people using petrol and fly spray to try unsuccessfully to kill nests, Neither are recommended! 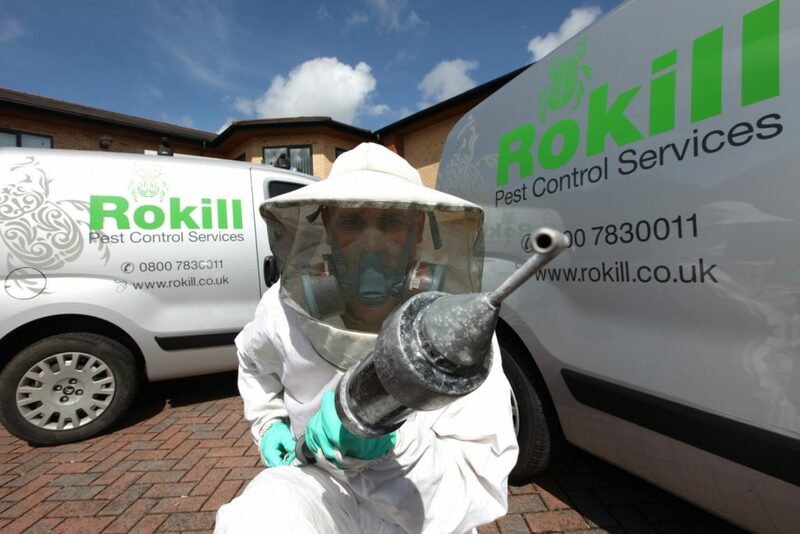 Following a risk assessment Rokill technicians wear wasp proof jackets and veils for protection, they use specialist application equipment to safely deploy a small quantity of insecticidal powder into the nest and within 72 hours the nest has usually succumbed. There is no need to remove a wasp nest after treatment as wasps always rebuild a new nest each year and do not reuse old nests. 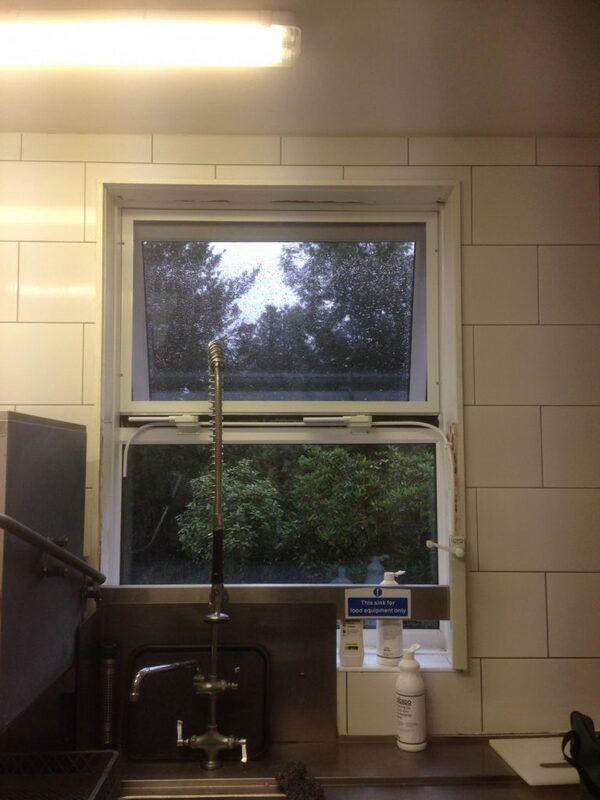 Flyscreens can be fitted to windows and doors providing an effective barrier to wasps entering property. 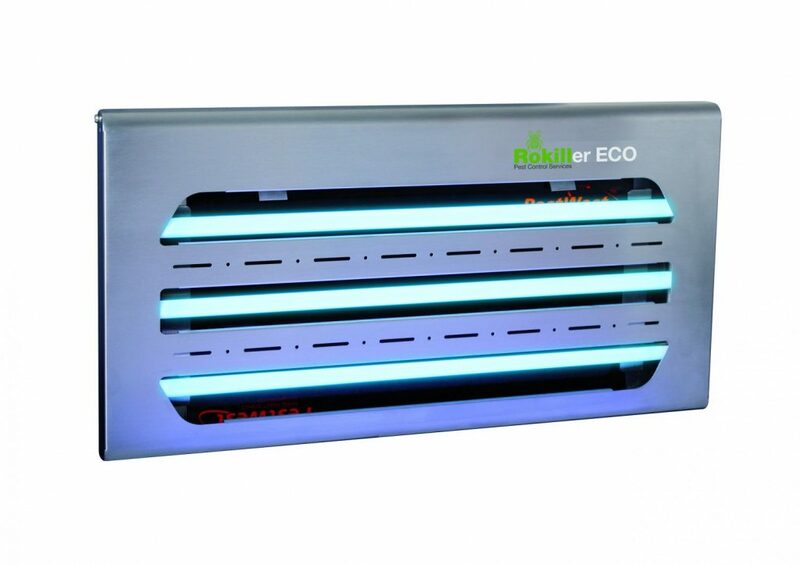 Are highly attractive to wasps when correctly installed and quickly kill wasps and other flying insects inside properties. to reduce nuisance in outdoor eating areas. 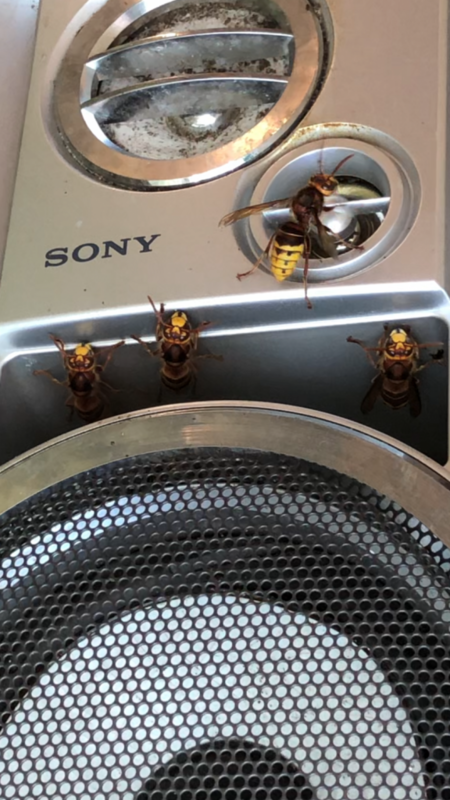 Wasps will forage and once they have successfully found a food source will return to the nest and communicate with the other wasps to encourage them to visit the food source. 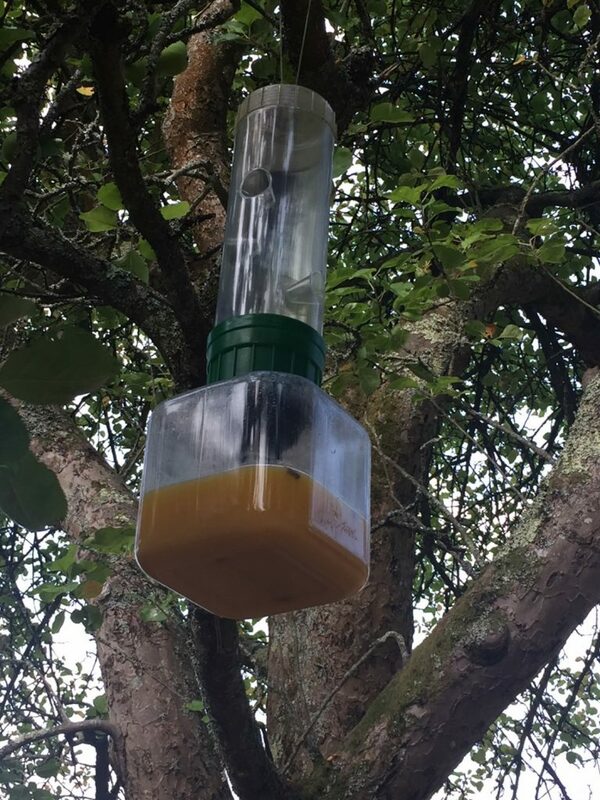 Effective trapping can prevent scouts returning to the nest and reduce the numbers of wasps feeding in outdoor eating areas. In external eating areas clearing away plates immediately after eating is good practice. Wasps are attracted to fruit therefore collecting fallen fruit from the ground removes another food source. Refuse areas can attract wasps, ensuring bins have well-fitting lids or black bags are effectively sealed and food spillage is cleaned away are all important measures to reduce activity.